Lost and with no way of getting home. Sadly, each year pounds and shelters around the country receive thousands of lost cats and dogs whose chances of being reunited with their families are decreased because there are either not identified, or as a result of out of date contact information. December is National Pet ID Month, an initiative of National Pet Register where we call on pet owners from around the country to get on top of their pet’s identification in the lead up to the busy summer months. National Pet Register Operations Manager, Melaine Robinson, explains that summer is a time where shelters see an increase in the number of cats and dogs coming through their doors. Sadly some of these animals are unable to go home because of outdated or incorrect contact information corresponding to their pet’s microchip registration. “December and January are months when shelters are inundated with pets that have escaped and become last due to fireworks, storms and holidaying owners. 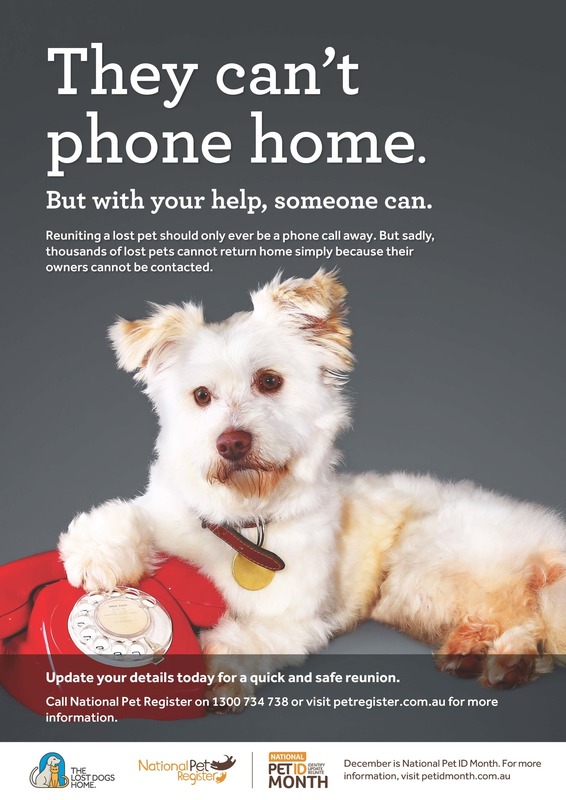 “Reuniting a lost pet with their owner should only ever be a phone call away, however year after year, animal shelters cannot reunite pets and their owners simply because their owners cannot be contacted,” said Melaine. 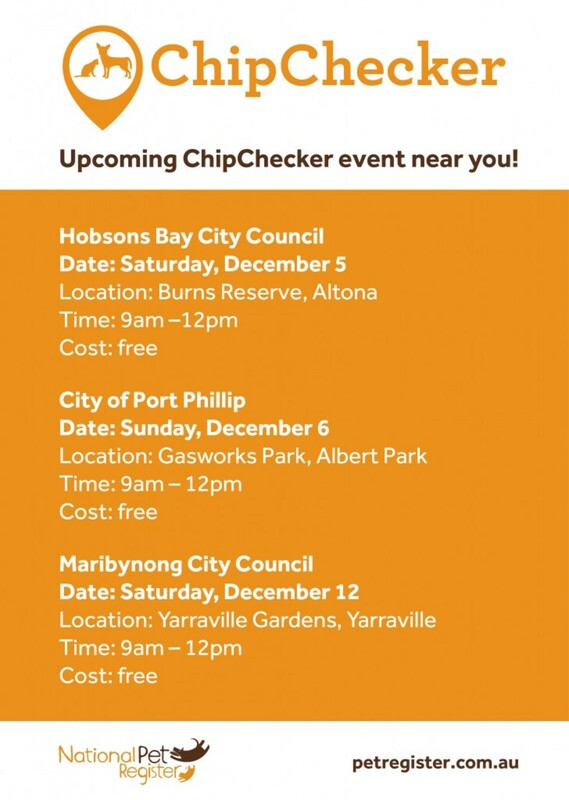 To help concerned pet owners check their pets’ microchip details, National Pet Register is holding ChipChecker events in Hobson’s Bay, Port Phillip and Maribyrnong council areas during December. “ChipChecker is an initiative which aims to give piece of mind to pet owners. In 10 minutes pet owners can find out which register their pet’s microchip is on, whether they need to update their details and find out if their pet’s microchip is working or has moved. “Along with our ChipChecker events in December, participating vets around the country will also offer ChipChecker services to their clients. In 2015, more than 700 dogs and cats have had their microchips checked at ChipChecker stations.